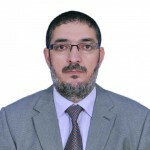 Mohamed M. Benotman is a lecturer at the English Department, Faculty of Arts, Sirte University in Sirte, Libya. He received his Bachelor degree in English from the University of Garyounis, Benghazi, Libya and Master degree in Translation and Interpretation Studies from Heriot Watt University, Edinburgh, United Kingdom. Dr Benotman obtained his PhD in Translation from The University of Manchester, Manchester, United Kingdom. He has worked as a Translator and Interpreter in several establishments in the UK specializing in Translation and Interpretation. He teaches Translation and Interpretation courses in the English Department, Sirte University.